Reel Asian is proud to co-present this film with the Shinsedai Cinema Festival. Reel Asian is proud to co-present WANDERING HOME with the Shinsedai Cinema Festival. Yasuyuki Tsukahara (Tadanobu Asano) is a man haunted by his demons. Having spent years as a photojournalist in war torn third world countries he has slowly but steadily developed a ferocious drinking problem. His alcoholism is responsible for ending his marriage with Yuki (Hiromi Nagasaku), a manga artist, and it has alienated him from his two children, Hiroshi (Yosuke Fujioka) and Kaoru (Kurea Mori). Now Tsukahara’s drinking is killing him. After vomiting copious amounts of blood one night he is rushed to the hospital. The doctors’ diagnosis is simple: stop drinking immediately or die, but Tsukahara struggles to follow through. Admitting himself into outpatient clinic only sees him relapse, so there is no other choice but to carry out his detox and rehabilitation in a mental hospital. It’s here that Tsukahara is forced to learn about himself and reconnect with his estranged family in order to conquer his alcoholism. 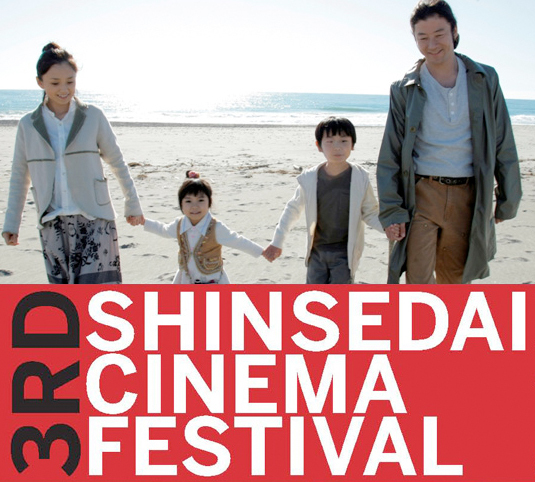 Click here for more information about the Shinsedai Cinema Festival, screening independant Japanese films at the Japanese Canadian Cultural Center between July 21-24, 2011.